Are you having problems with running your instances at a certain time? No need to worry about it anymore. Elastic Cloud Gate has the perfect solution. The EC2 automation allows you to schedule start, stop or reboot your instances based on hourly, daily or monthly schedules. You have the option to prevent stop instances whenever there is any CPU or network activities detection. In addition, you get to have the option to choose Elastic IP that will be attached to the instance after starting. 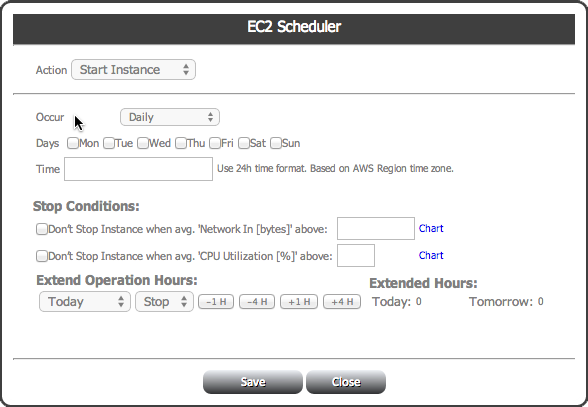 The EC2 scheduler allows you to extend your instances operation hours without the need to change the scheduler. You can extend the scheduler hours with just one click of your mouse button. The AWS scheduler also enables you to check whether your instances are running smoothly. You simply have to use the “Always On” option to schedule the time your instances need to be turned on. Our system monitors instance status in one-minute intervals. It also starts an instance if it is not running on its scheduled periods. This option enables your instances status to be recorded for your servers’ chart uptime. Less powerful and less expensive EC2 instance is enough for slower or overnight hours. However, rush hours require a bigger EC2 instance. With the EC2 scheduler, you can automatically change the EC2 instance type. You can base it on the daily, hourly or monthly schedule. Part of our Disaster Recovery solution is the system maintenance. This is done in order to provide an AMI backup of all your instances. You can create an AMI backup using Electric Cloud Gate. The backups are executed based on the scheduler. In addition they might be copied to various AWS regions. This is done in order to ensure that you have the most recent copy of all your instances, which are always ready whenever you need them. In addition, scheduling your AMI maintenance enables you to remove the old ones as well as keep the recent ones. Our Recovery and Maintenance solution allows you to back up your EBS volumes in various regions. These tools enable you to create a snapshot of your EBS volume, based on the daily, hourly or monthly schedule. You no longer have to worry about too many EC2 images or EBS snapshots. Elastic Cloud Gate have an option to schedule a maintenance that can delete all unwanted snapshots based on your set of criteria. You may also use Elastic Cloud Gate whenever you run out of space in your EBS volume. It extends your EBS volume capacity through a fixed or percentage value. It could be based either on schedule or on demand. Take note that manual step is required on the instance size once the EBS volume is resized. Elastic Cloud Gate also lets you manage your EC2 instances or EBS volume custom tags. 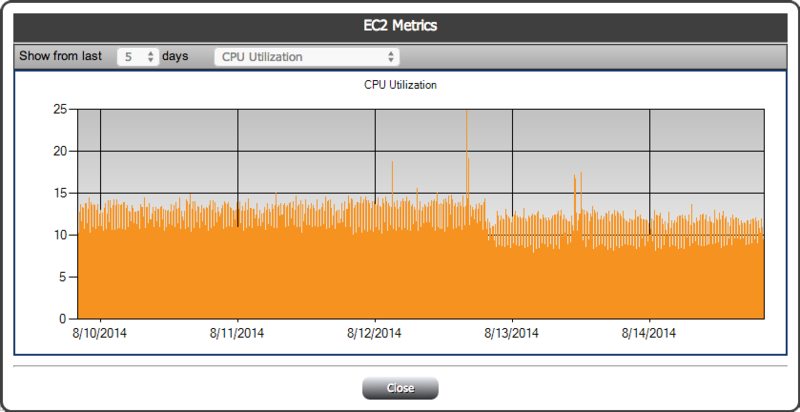 In addition, our console allows you to chart all of your EC2 instances and EBS volumes metrics. Because of this feature, tracking your performance and utilizing your EC2 servers is made easy. Schedule “Always On” - Monitor status of the EC2 Instance. Start and send notification when instance stopped unexpectedly. These highlights are sure to make scheduling more practical as well as more convenient. 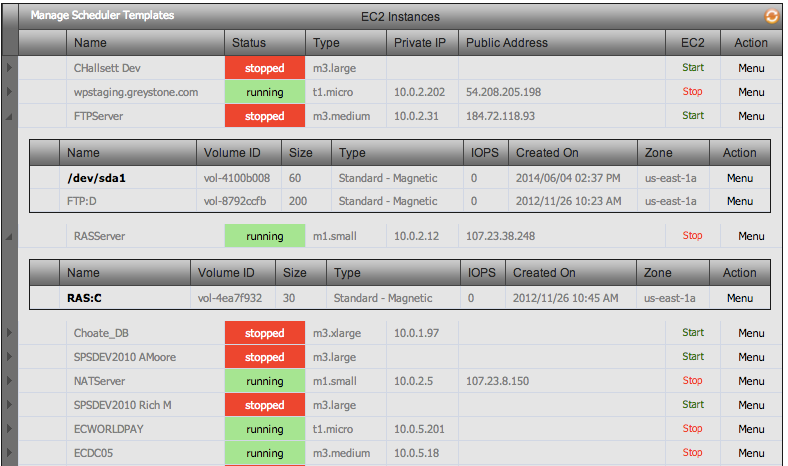 Using the EC2 Automation system can help you monitor and schedule instances easily.